Andrew started lifting to be on par with the rest of his unit, but he fell in love when he earned his Physical Fitness Excellence Badge. From then on it was for him. 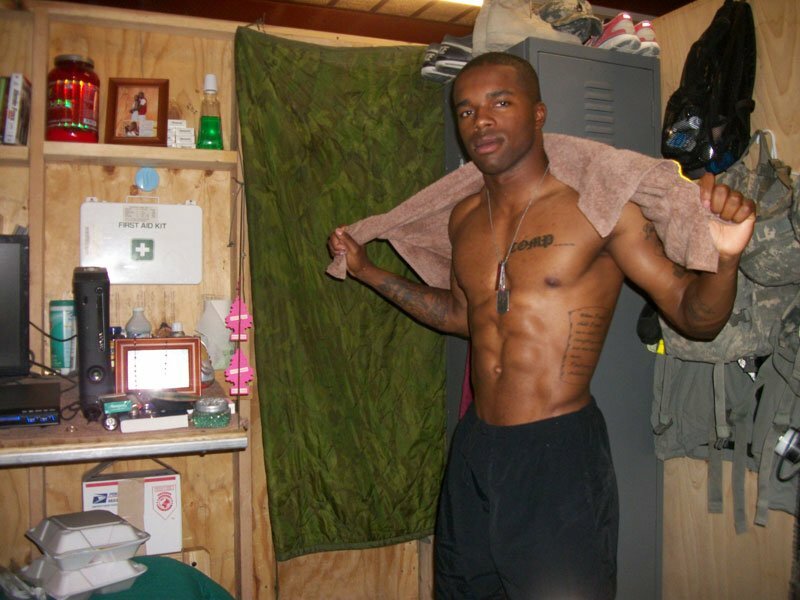 I got my start in weight training two years ago during my second combat tour. 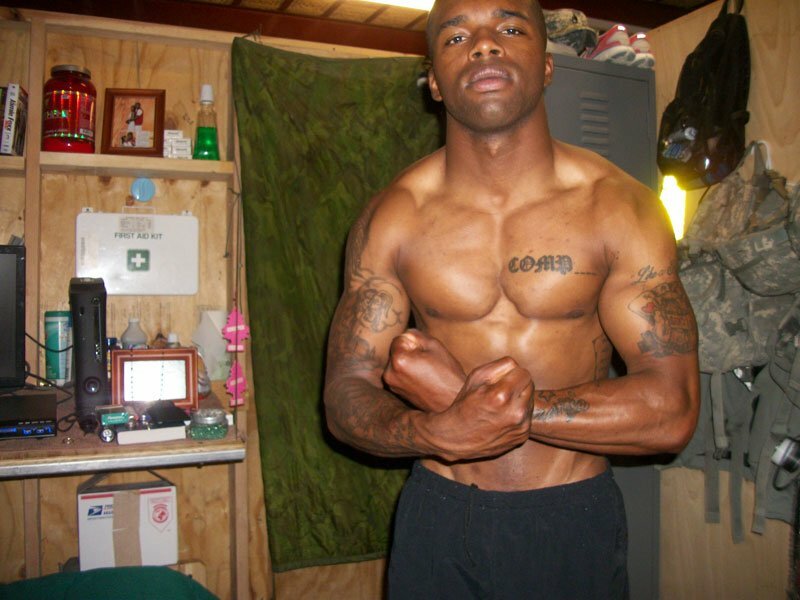 I was already in a unit were physical fitness was high priority and it seemed that everyone assigned to the 3rd BCT Rakkasans were either huge, ripped or both so I decided to join the pack. 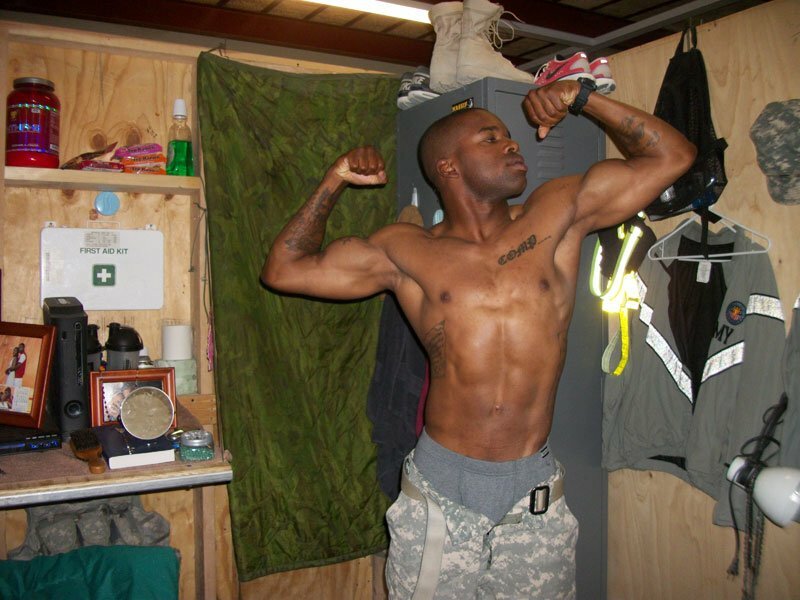 I started going to the gym occasionally improving my Army Physical Fitness Test Score. 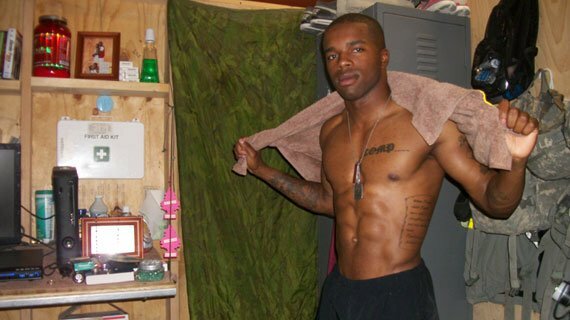 Once I earned the Physical Fitness Excellence Badge I was hooked. 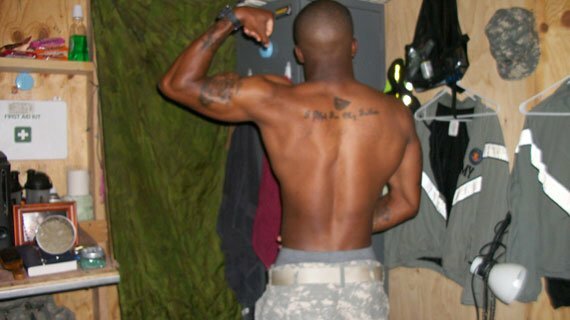 I have been lifting and dieting my way to physical fitness heaven ever since. Well the hardest part for me would be finding a wife who understands the demands and sacrifices that have to be made while serving this great nation of ours, but since my wife is also a proud soldier of the Armed Forces there is really no hard part for me except for leaving my kids, dog, family and motorcycle behind. I would say flexibility. Being that we are at a time of war you never really know where you're going to end up and how long you're going to end up there. So sometimes it makes staying physically fit a hard task. I always say though "Where there's a will there's a Weight." Also the Deployment Diet. Whey protein is a man's best friend. It's also a burden when it comes to really building a foundation because not only does the soldier have to suffer, but the soldier's family must as well when it comes to meeting friends and establishing a "dream lifestyle" as my wife calls it. Where there's a will there's a Weight! Since I began I've always varied my workout plan trying to keep my muscles guessing but it's basically 4 days strong, two days light, and one day of R&R. 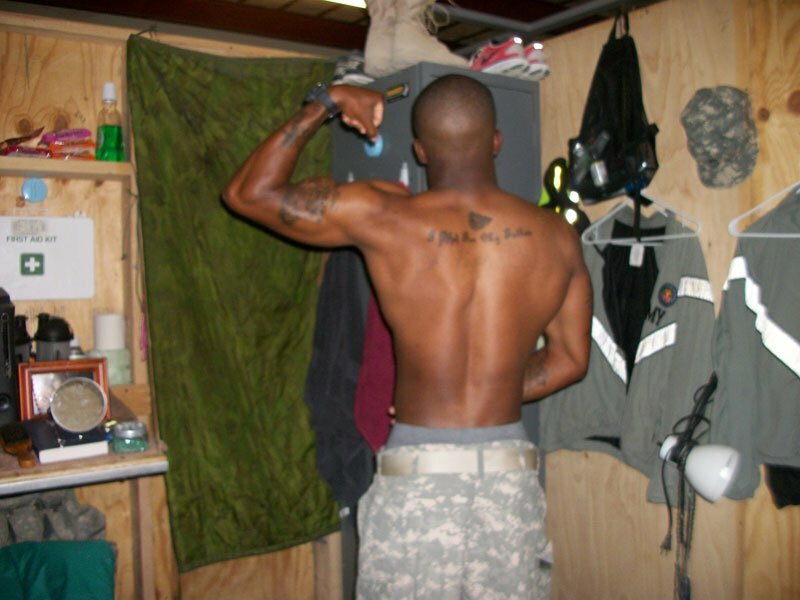 The Army made him army strong. Andrew took a step further! Keep in mind that this diet plan is a deployment plan. When stateside I'm a lot more disciplined about what I put in my body and I have the grocery bills to prove it. Prepared with ham, tomatoes, and cheese. N.O.-Xplode: Primarily a pre-workout thing for me. I take it 30 minutes to an hour before a workout. 1 month on and a week off is the cycle I use. CellMass: On training days I take it when I wake up and 45 minutes after my workout. On non-training days I take it when I wake up and right before I go to sleep to assist with muscle recovery. Nitrix: I consume 3 pill 3 times per day either 30 minutes before or 2 hours are breakfast, lunch and dinner. Animal Pak Vitamins: I take 1 full pack twice per day. One at noon and before bed. Also I drink insane amounts of water; got to stay hydrated. I will continue to work on my body more and more. I will still compete for morale purposes, but before I decide to actually step onto the big stage I have a lot more trimming and sculpting I want to do to my body. Do tell and behold that one day you will see this name again Andrew Smith! You will hear the name Andrew Smith again! Ronnie Coleman, Jay Cutler, Dexter Jackson, and Branch Warren. These guys are the best to do it. All roads lead to Mr. Olympia. Be patient. Train hard. Remember "Our biggest fear is not that we are incapable or weak, our biggest fear is that we are powerful beyond measure." A lot of guys get in the gym and see guys who are huge and lifting the whole gym and get discouraged. Instead, use that as motivation. Pick their brains; learn what they know. Last, instead of focusing on "plenty pounds" try focusing on "proper form" first; you only get one body and the weights aren't going anywhere.